International Municipal Signal Association Certifications are the key to job security and advancement! Sunshine Safety Council proudly specializes in International Municipal Signal Association Certifications. Or Request a class at your location…We’ll come to you! Beginning August 1, 2018 – In order to get your Traffic Signal Inspector certification you will need to have an International Municipal Signal Association Work Zone Traffic Control Safety Certification or here in Florida an Intermediate Temporary Traffic Control certification (formerly Intermediate Maintenance of Traffic) AND the IMSA Traffic Signal Technician Level 1. Did you know International Municipal Signal Association certifications can be renewed with 16 educational hours in an IMSA approved class AND that they can be renewed within one year of the expiration (no exam required). Did you also know that Signal Inspector & Signal Technician hours are interchangeable! You can use a Signal Inspector class to renew a Signal Technician certificate and vice-versa! Sign Tech & Pavement Tech hours are also interchangeable! Use a Sign Tech class to renew a Pavement Tech certificate and vice-versa! All of our listed classes can be used for applicable certification renewal hours. Have a group of people to be trained? Can’t or don’t want to come to our office? Need to train 10 or more people? We bring the training to you! We have an International Municipal Signal Association proctor on staff so you can RETEST or take a CHALLENGE exam at your convenience! Coming for classes and need a reasonably priced hotel? General Description: This certification program is designed for transportation professionals whose role encompasses control and operation of a road network in a Transportation Management Center (TMC). Purpose: The program provides an understanding of key concepts and the technology used for devices, equipment, and software that a TMC may utilize in daily operations. General Description: The Transportation Center System Specialist (TCSS) Level II certification program continues and expands on the knowledge and skill sets gained in the Level I program. Purpose: Provides an advanced review of the concepts, technology and operational techniques for devices, equipment, and software that a TMC may utilize in daily operations. Course Specifics: This program emphasizes material on data collection, vehicle detection, data integrity and integration, Center-To-Center protocols, TMC consoles, video and closed circuit television technologies, stand by power systems, software sub-systems, dynamic message signs, field device operations and system administration and troubleshooting. Target Audience: This certification program is intended for individuals that have achieved the Transportation Center System Specialist Level I certification whose role and responsibilities may require a higher level of knowledge and be more supervisory. General Description: The IMSA Traffic Signal Inspector Level I Certification Program is designed to ensure public safety by helping individuals to understand fundamental concepts associated with the inspection for construction of traffic signal installations. Traffic Signals are a key element in our transportation system and the proper operation of these signals is of paramount importance in maintaining reasonable levels of mobility. Purpose: Knowledgeable traffic signal inspection is required to ensure that proper/specified construction practices are followed during signal installation resulting in signals that operate as intended. Knowledgeable inspection is also a key element in limiting the liability exposure of governmental agencies associated with malfunctioning traffic signals. Target Audience: Traffic Signal Inspector Level I Certification is recommended for all individuals involved in the inspection of traffic signal construction. It is also a valuable course for contractor personnel, since it provides an inspector’s viewpoint of traffic signal construction. Pre-requisite(s): In Florida – Intermediate Temporary Traffic Control (formerly Maintenance of Traffic); Outside of FL – IMSA Work Zone Traffic Control Safety Certification is required. Effective August 1, 2018 IMSA Traffic Signal Technician Level 1 will be required as a prerequisite for this program. General Description: The IMSA Traffic Signal Inspector Advanced Technologies Certification Program builds on knowledge and skills developed in the Traffic Signal Inspector Level I program, and prepares the traffic signal inspector for more challenging and advanced assignments. Target Audience: This program is intended for individuals responsible for the inspection of advanced traffic control and Intelligent Transportation Systems who seek an advanced level of professional certification. Course Specifics: Material covered in this program includes test equipment, control components, power systems, foundations, intersection wiring, detection systems, Intelligent Transportation System (ITS) devices, and communications. Pre-requisite(s): In Florida – Intermediate Temporary Traffic Control (formerly Maintenance of Traffic); Outside of FL – IMSA Work Zone Traffic Control Safety Certification is required and IMSA Traffic Signal Technician Level 1 and IMSA Traffic Signal Inspector. General Description: The Traffic Signal Level 1 program is based on the concept of relating fundamentals of traffic signal design; traffic signal installation, maintenance and limited troubleshooting. This is the entry course for Traffic Signal Technicians and discusses the basic procedures of how and why to install signalized intersections. It covers the process of installation required for an entry level student up to a one year technician. The program covers the fundamentals used today and sets the direction the technician may follow in the future. Purpose: The program is designed to enhance public safety by helping individuals to review fundamental concepts associated with traffic signal design, construction, and operation. Following the course guidelines help promote safe, efficient signalized intersections. Target Audience: For individuals responsible for the maintenance, construction, and operations of traffic signals and related equipment. This certification program would also aid those responsible for the planning and design of traffic signals, such as traffic engineers and traffic technicians. Course Specifics: The program includes an introduction to traffic signals; signal indications and signal-related signing; planning for traffic signals; designing traffic signals; vehicle detection; traffic signal supports; installing traffic signals; construction procedures; installing traffic signals; construction equipment; preventive maintenance, basic signal timing concepts; traffic signal phasing; dealing with the public. Pre-requisite(s): In Florida – Intermediate Temporary Traffic Control (formerly Maintenance of Traffic); Outside of FL – IMSA Work Zone Traffic Control Safety Certification is required. * Note: Effective 2010, Level 2 Certifications are specific to Bench, Field, Construction, & Design/Engineering. The Sunshine Safety Council is currently offering only the Field Course. General Description: The Traffic Signal Level 2 Certification indicates the holder has a well-rounded background in traffic signal technology from coursework and experience. Purpose: The Level 2 Field certification indicates the technician has additional information on traffic signal control system troubleshooting, on-site repairs, and maintenance methods and equipment. Target Audience: The certification holder is prepared to make a substantial contribution in the maintenance and repair of signalized intersections, whether employed by a private firm or a public agency. Course Specifics: Areas of information include worksite safety, maintenance of traffic, traffic signal system equipment standards and operation, installation inspection, troubleshooting, equipment repair, replacement and programming, test equipment, signal phasing and timing, detection, system communications, preventive maintenance, and documentation. Pre-requisite(s): In Florida – Intermediate Temporary Traffic Control (formerly Maintenance of Traffic); Outside of FL – IMSA Work Zone Traffic Control Safety Certification is required and IMSA Traffic Signal Technician Level 1 and two (2) years’ experience in the traffic signal field. Prerequisites: IMSA Traffic Signal Field Technician Level 2 and five (5) years’ experience in traffic signal field. General Description: This two-day seminar will address the basic principles behind sign and pavement marking. Level 1 review material has been derived from the MUTCD. It covers applications of regulatory signs, warning signs, guide signs, tourist oriented directional signs, markings and markers, traffic control in school areas, bicycle traffic control devices, safety and temporary traffic control, installation of signs and markings, and emergency management signing. The remaining material which will be reviewed in class has been derived from the following publications: FHWA’s Standard Highway Signs, FHWA’s Standard Alphabets for Highway Signs and Pavement Markings, TRB’s NCHRP Synthesis 157 Maintenance Management of Street and Highway Signs, and ITE’s Traffic Engineering Handbook. Purpose: To encourage individuals to learn the basic principles of sign fabrication, their installation and proper placement of markings for safe traffic movement in urban and rural areas. Target Audience: This certification program in designed for transportation professionals responsible for the planning, design, layout, installation, and maintenance of traffic signs and roadway markings. Course Specifics: The course material has largely been derived for the Manual on Uniform Traffic Control Devices (MUTCD). You will also review: general principles; regulatory signs; guide signs; pavement markings, object markers, school zones, railroad crossings; and bicycle routes. Pre-requisite(s): In Florida – Intermediate Temporary Traffic Control (formerly Maintenance of Traffic); Outside of FL – IMSA Work Zone Traffic Control Safety Certification is required and one (1) year experience working with signs and markings. General Description: This two-day seminar has been prepared to build upon the fundamental understanding the student gained during the Sign & Marking Level 1 program. Purpose: With this Level 2 program, the student will garner greater insight and a more nuanced understanding of sign design, installation, and maintenance. Target Audience: This program is important for the sign technician to further his or her understanding of the criteria for the application of signs in accordance with the MUTCD and other references. Course Specifics: The student will learn when and where these traffic control devices are installed, how to properly manufacture, install and maintain them, and why it is important to take even greater care with the increased responsibility that comes with Level 2 certification. Pre-requisite(s): In Florida – Intermediate Temporary Traffic Control (formerly Maintenance of Traffic); Outside of FL – IMSA Work Zone Traffic Control Safety Certification is required and IMSA Signs & Markings Level 1 certification and two (2) years of road or traffic operations experience. General Description: This two-day seminar has been prepared to build upon the fundamental understanding the student gained during the Sign & Pavement Marking Level 1 program. Purpose: This Level 2 program will allow the student to garner greater insight and a more advanced understanding of pavement marking materials, installation, and maintenance. 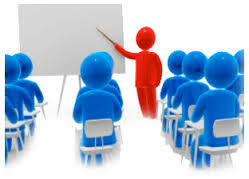 Target Audience: This certification program is important for the pavement marking technician to further his or her understanding of the criteria for the application of a myriad of pavement markings and pavement marking materials in accordance with the MUTCD and other references. Course Specifics: The student will learn when and where these traffic control devices are installed, how to properly install and maintain them, and why it is important to take even greater care with the increased responsibility that comes with Level 2 certification. General Description: Level 3 certification is the highest level of certification for Sign Technician OR Pavement Markings Technician personnel. 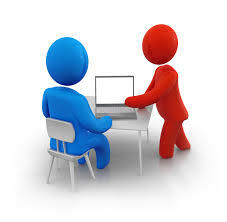 The course is a review session and question/answer followed by the exam. There is no course manual. Purpose: To attain the highest level of certification in the Sign Technician OR Pavement Markings Technician operation field. The Level 3 certification gives the Specialist a profound sense of accomplishment as the energy and effort it takes to achieve this goal is exceptional. Pre-requisite(s): In Florida – Intermediate Temporary Traffic Control (formerly Maintenance of Traffic); Outside of FL – IMSA Work Zone Traffic Control Safety Certification is required and IMSA Signs & Pavement Markings Technician Level 1 and applicable Level 2 certification and five (5) years of verifiable road/traffic operations experience. General Description: This two-day Roadway Lighting Level 1 Certification seminar for qualified personnel is designed to aid individuals in understanding fundamental aspects of Roadway Lighting. Target Audience: Individuals who are involved with design, installation, and maintenance projects related to roadway and street lighting will benefit by taking this seminar. This seminar covers various aspects to help ensure the safety of motorist and workers regarding the quality roadway lighting system. Purpose: The review material will address Electrical Safety and Codes; Basic Electricity and Laws, and Basic Construction and Maintenance. Purpose: The goal of these seminars is to provide and enhance the knowledge of personnel responsible for handling various aspects of roadway lighting projects for a safe and effective lighting system. Target Audience: Individuals who are involved with design, installation, and maintenance projects related to roadway and street lighting will benefit by taking this seminar. Pre-requisite(s): In Florida – Intermediate Temporary Traffic Control (formerly Maintenance of Traffic); Outside of FL – IMSA Work Zone Traffic Control Safety Certification is required and Roadway Lighting Technician Level 1 and two (2) years of verifiable road/traffic operations experience. General Description: This three-day classroom and hands-on lab covers the knowledge and skills needed by fiber optic technicians involved in the design, installation or operation of fiber optic networks used in transportation, fire alarm, communications, video and municipal applications. Target Audience: This certification program is intended for practitioners that are directly or indirectly involved with the installation, maintenance or design of intelligent transportation systems, traffic control, fire alarm, communications, video, municipal, specialized protocols or any other fiber related networks or programs. Prerequisites: Included in the IMSA/FOA CFOT program, students will also be required to take an online self-study program on FOA’s Fiber U online training website. In this self-study program, students will be introduced to the basics of fiber optics, components, installation and testing. Studying these online beforehand allows the classroom time to be minimized and lab time maximized.